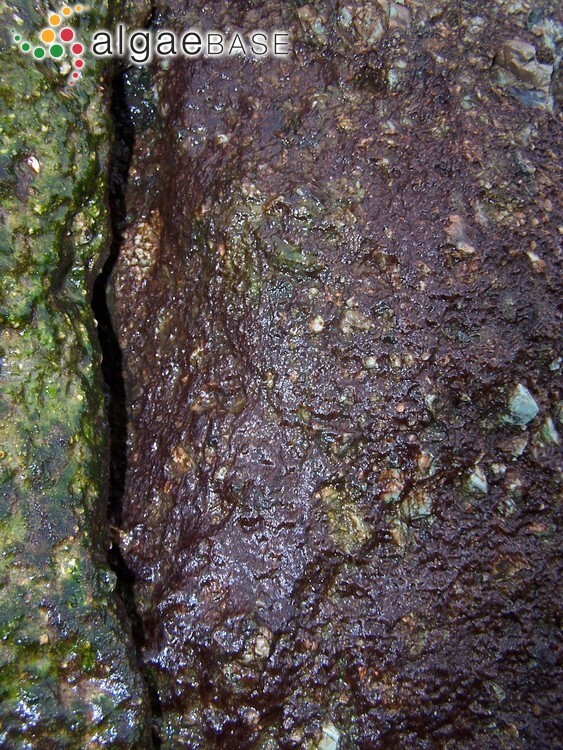 upper intertidal, North of Galicia, Spain, 2013. Ignacio Bárbara. © Ignacio Bárbara (barbara@udc.es). 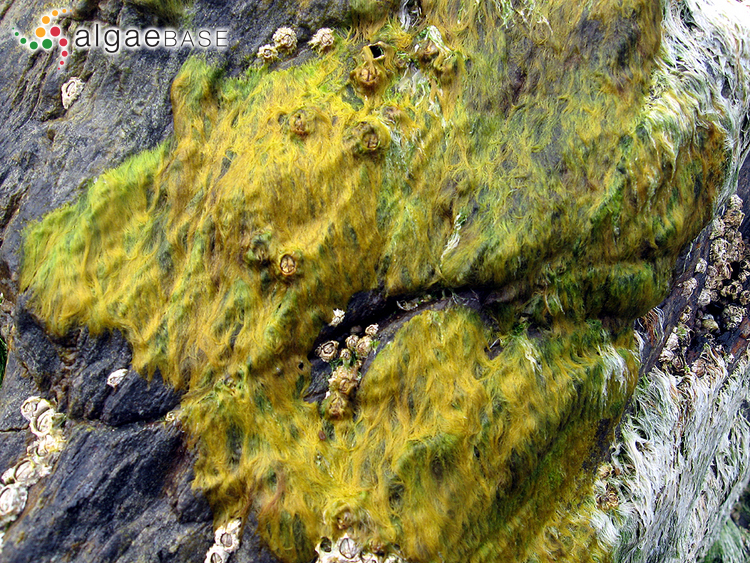 upper intertidal, South of Galicia, Spain, 2013. Ignacio Bárbara. © Ignacio Bárbara (barbara@udc.es). 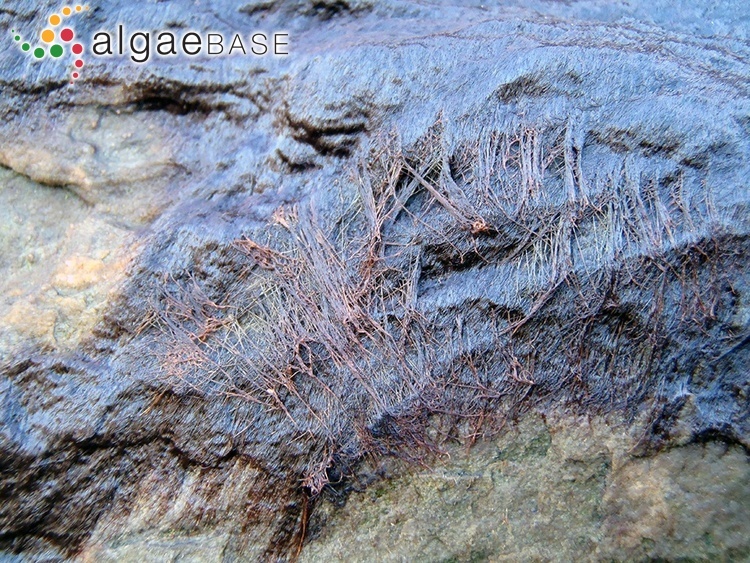 Although Geesink (1973) concluded that the freshwater species formerly known as Bangia atropurpurea was identical to the marine entity B. fuscopurpurea, analysis of DNA sequences have shown that North American and European freshwater isolates are virtually identical but are quite different from marine isolates (Müller, et al., 1998; Müller, Gutell & Sheath, 1998; see also Wolcott & King, 1998). 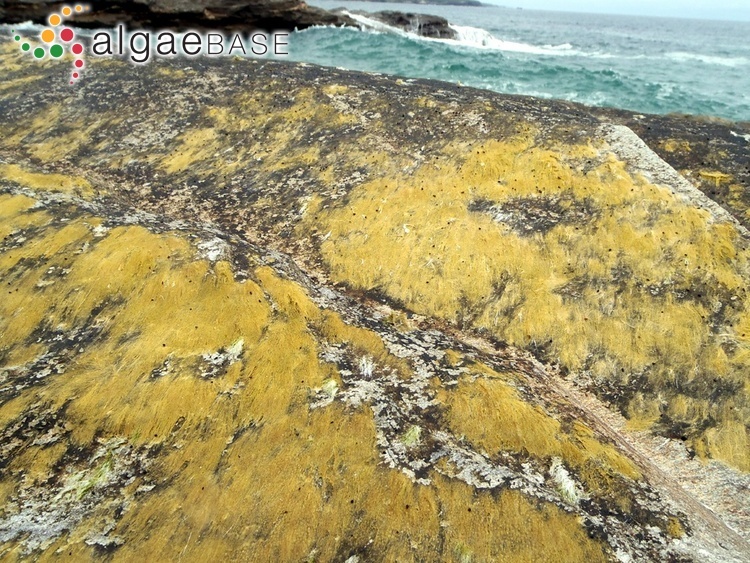 For this reason, a name for marine isolates, Bangia fuscopurpurea is reinstated here. Chinese: Tou mau tsai (Madlener 1977). Chinese? : Tou fah tsai (Madlener 1977). English: Velvet Thread Weed (Bunker et al. 2010). Kamenarska, Z., Ivanova, A., Stancheva, R., Stoyneva, M., Stefanov, K., Dimitrova-Konaklieva, S. & Popov, S. (2006). 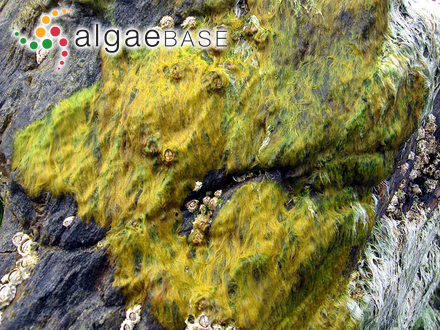 Volatile compounds from some Black Sea red algae and their chemotaxonomic application. Botanica Marina 49: 47-56. Accesses: This record has been accessed by users 17636 times since it was created. Cole, K. (1972). Observations on the life history of Bangia fuscopurpurea. Mém. Soc. bot. Fr. 1972: 231-236. Dixon, P.S. (1968). Life history of Bangia fuscopurpurea (Dillw.) Lyngb. in culture. Nature, London 218: 496-497. Drew, K.M. (1952). Studies in the Bangioideae. 1. Observations on Bangia fuscopurpurea (Dillw.) Lyngb. in culture. Phytomorphology 2(1): 38-51. Mendoza, M. L. (1970). 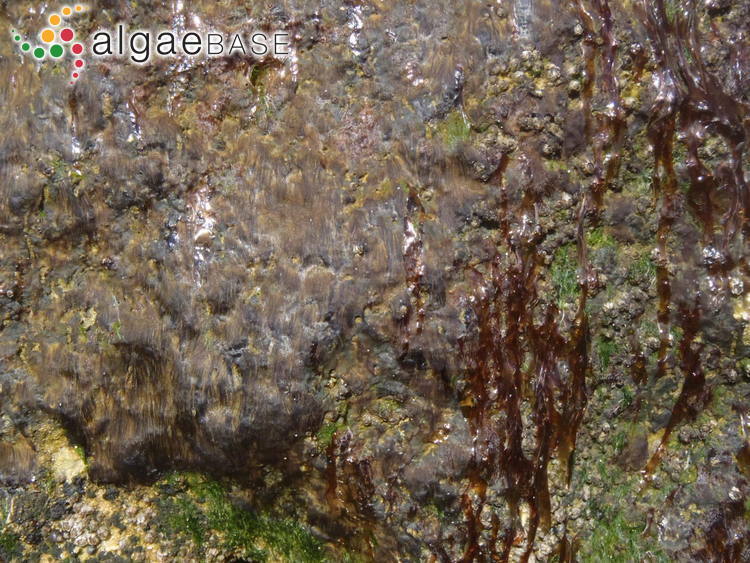 Algunas observaciones y nuevas localidades de Bangia fuscopurpurea (Rhodophyta). Physis 30: 283-290. Nichols, H.W. & Sommerfeld, M.R. (1973). The life cycle of Bangia fuscopurpurea in culture. I. 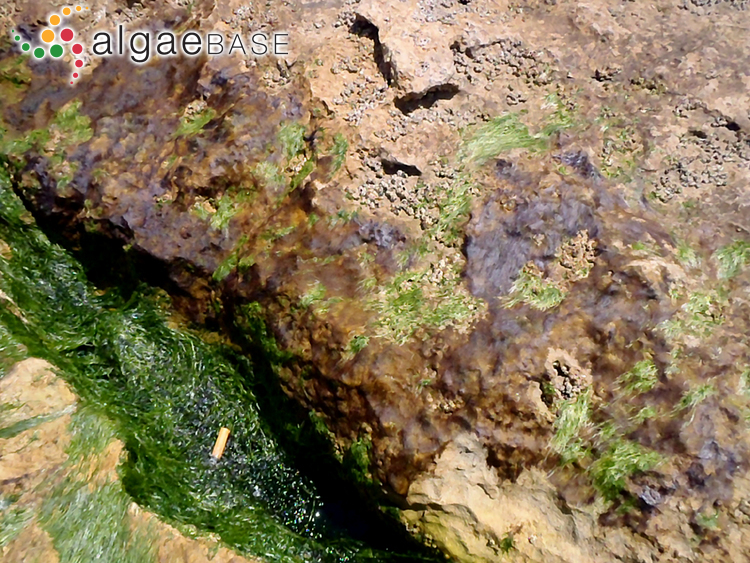 Effects of temperature and photoperiod on the morphology and reproduction of the Bangia phase. Journal of Phycology 9: 205-210. Richardson, N. & Dixon, P.S. (1968). 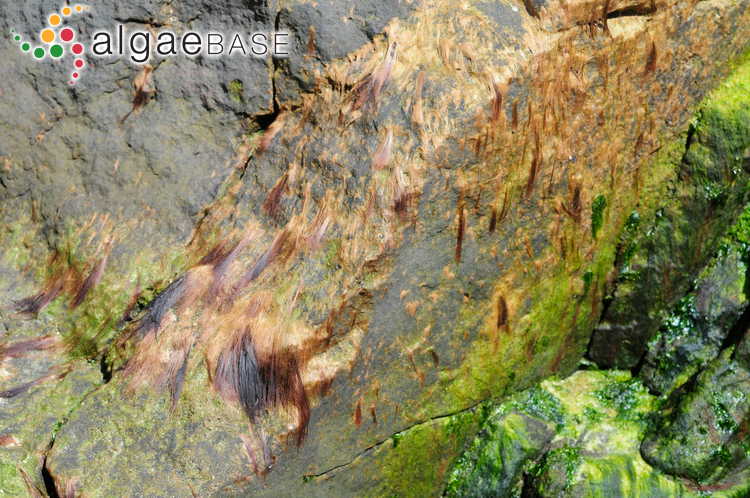 Life history of Bangia fuscopurpurea (Dillw.) Lyngb. in culture. Nature, London 218: 496-497. Richardson, N. (1970). 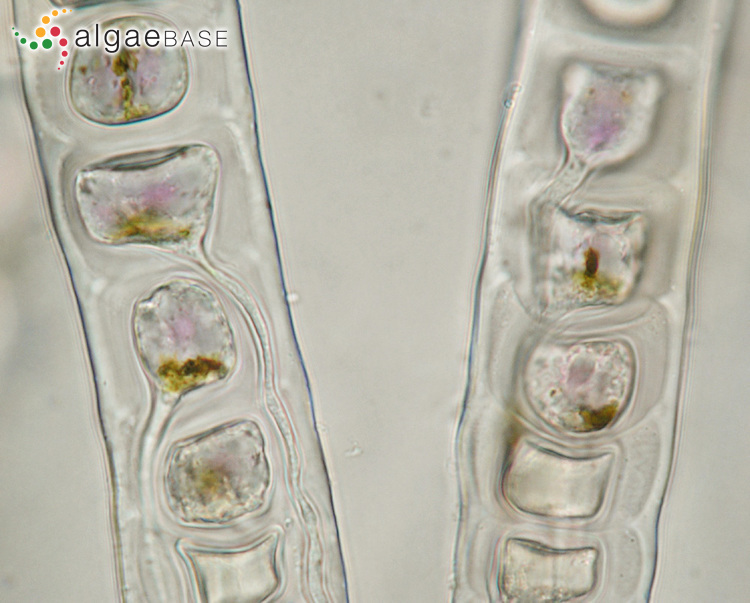 Studies on the photobiology of Bangia fuscopurpurea. Journal of Phycology 6: 215-219, 1 fig, 3 tables. Sommerfeld, M.R. & Leeper, G.F. (1970). 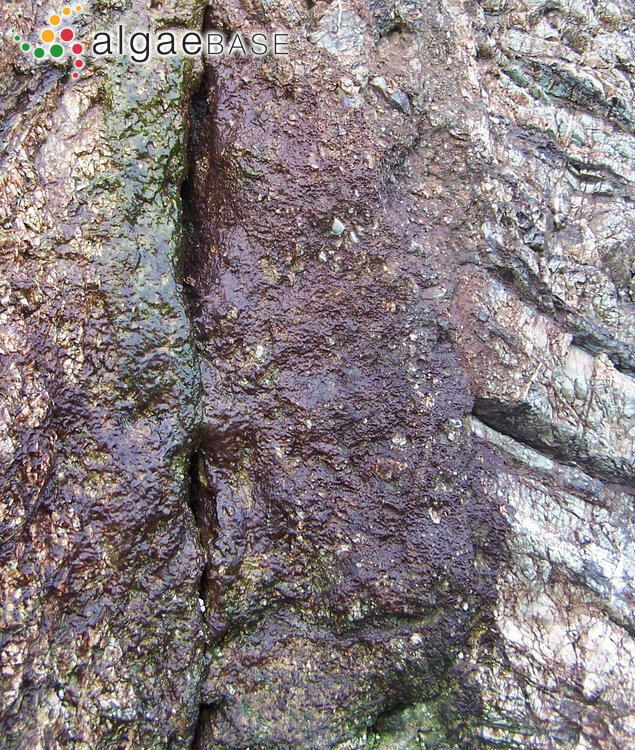 Pit connections in Bangia fuscopurpurea. 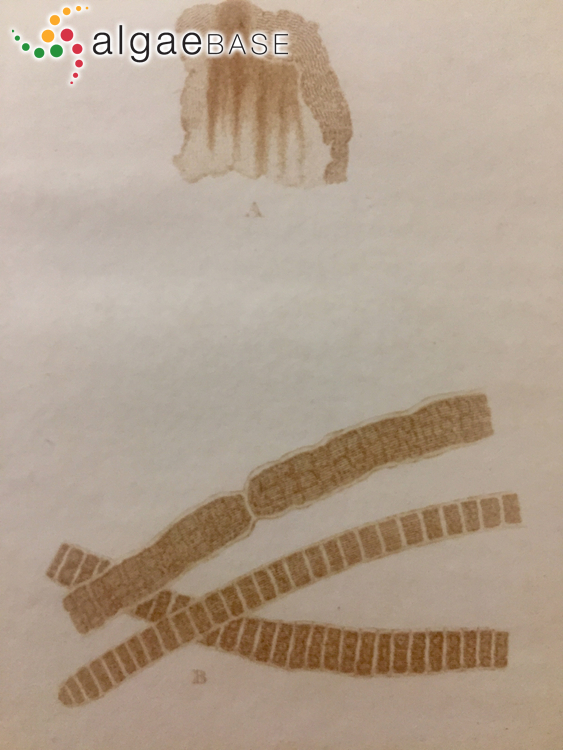 Archiv für Mikrobiologie 73: 55-60. Sommerfeld, M.R. & Nichols, H.W. (1970). Developmental and cytological studies of Bangia fuscopurpurea in culture. American Journal of Botany 57: 640-648. Sommerfeld, M.R. & Nichols, H.W. (1973). The life cycle of Bangia fuscopurpurea in culture. I. 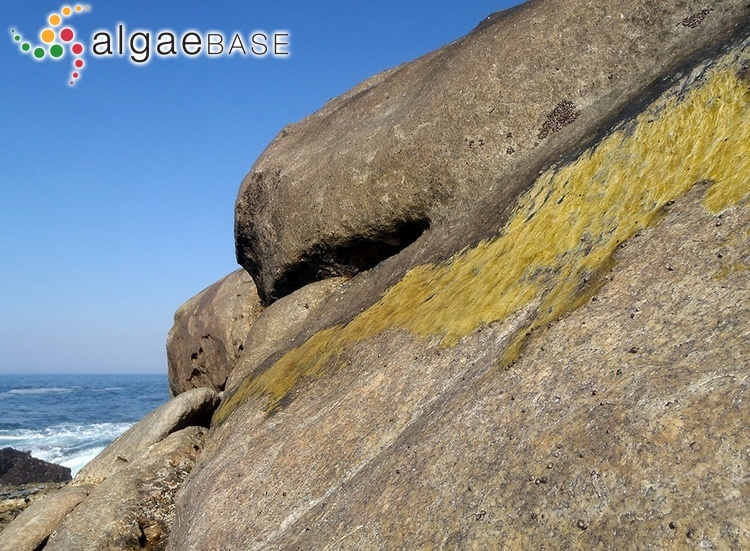 Effects of temperature and photoperiod on the morphology and reproduction of the Bangia phase. Journal of Phycology 9: 205-210.